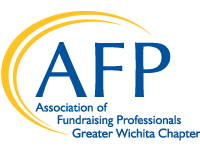 The AFP Greater Wichita Chapter shall offer scholarships for members and non-members to attend the chapter's National Philanthropy Day celebration. The event includes a morning skill-building session as well as an awards luncheon. The 2018 National Philanthropy Day scholarship application is now open! Click here to apply. Deadline to apply extended to October 5th! National Philanthropy Day 2018 will take place on November 16, 2018.